Jewel Salazar, High school Mural Contest winner poses for picture with Founder of Raasin in the Sun at the mural site. 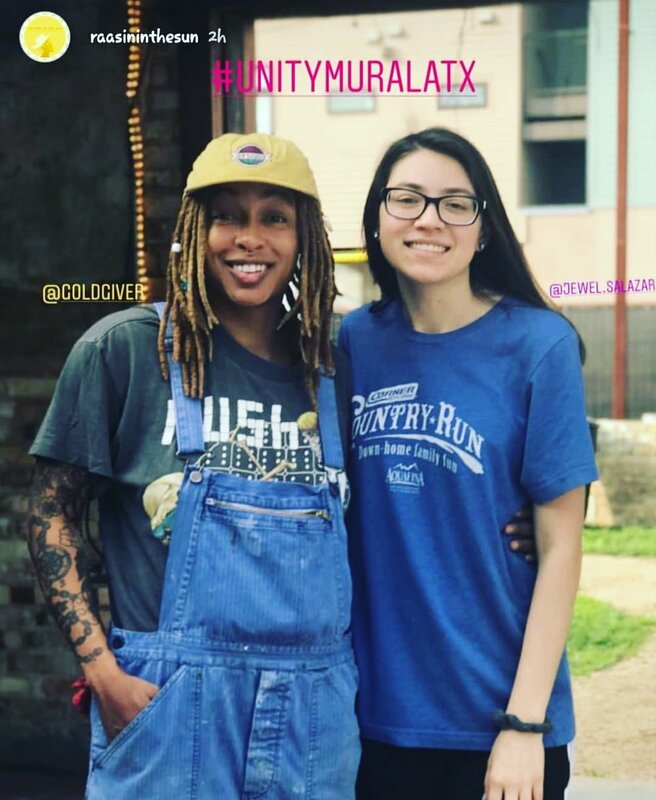 Please welcome to the community, the Unity Mural ATx by Jewel Salazar of Crockett High School. Painting will begin January 2019! Interview recap of preliminary wall wash in prep for next week’s prime coat. Unity Mural Atx.